Beneath many cities are complex networks of optical fibres that carry data, encoded in pulses of light, to offices and homes. Researchers from the National University of Singapore (NUS) and Singtel, Asia's leading communications technology group, have demonstrated a technique that will help pairs of light particles smoothly navigate these networks, a breakthrough that will enable stronger cyber security. The demonstration was performed over 10 km of Singtel's fibre network. This project, conducted in Singapore, is driven by the NUS-Singtel Cyber Security Research & Development Laboratory, a public-private partnership supported by the National Research Foundation, Prime Minister's Office, Singapore. 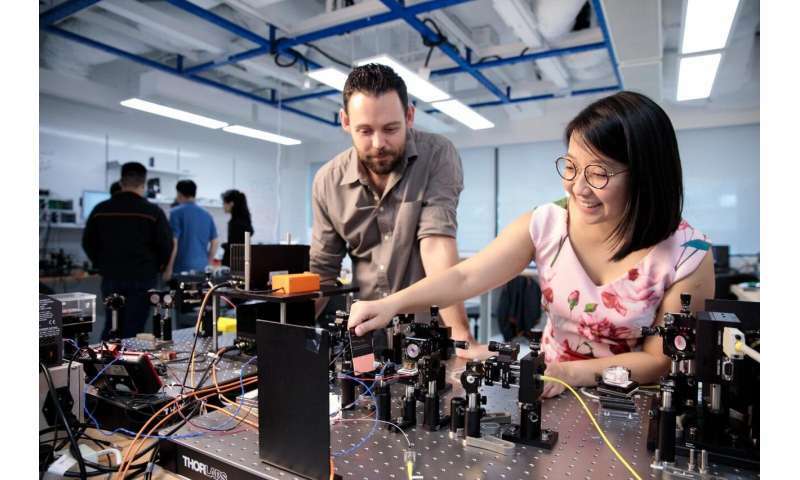 It relies on the expertise from the Centre for Quantum Technologies (CQT) at NUS. Typically, each photon encounters a different obstacle course of spliced fibre segments and junction boxes. On their paths, the photons also suffer dispersion, where they effectively spread out. This affects the operators' ability to track the photons. 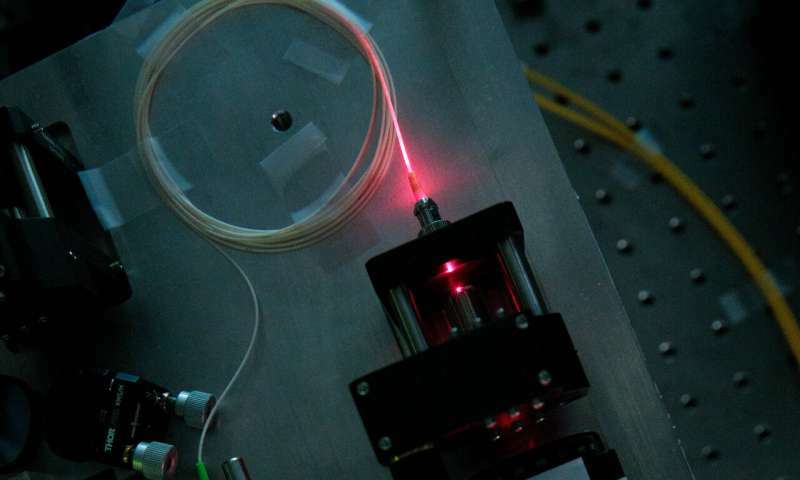 The new trick, published on 4 April in the scientific journal Applied Physics Letters, keeps the entangled photons in sync as they travel different paths through the network. This is important because they are identified by the gap between their arrival times at the detector. "Timing information is what allows us to link pairs of detection events together. Preserving this correlation will help us to create encryption keys faster," says James Grieve, a researcher on the team. The technique works by carefully designing the photon source to create pairs of light particles with colours either side of a known feature of optical fibre called the 'zero-dispersion wavelength'. Normally, in optical fibres bluer light would arrive faster than redder light, spreading out the photons' arrival times. Working around the zero-dispersion point makes it possible to match the speeds through the photons' time-energy entanglement. Then the timing is preserved. Associate Professor Alexander Ling, a Principal Investigator at CQT, led this work for the NUS-Singtel lab. He said, "Before these results, it was not known if the multi-segment nature of deployed fibre would enable high precision dispersion cancellation, because the segments don't generally have identical zero dispersion wavelengths."